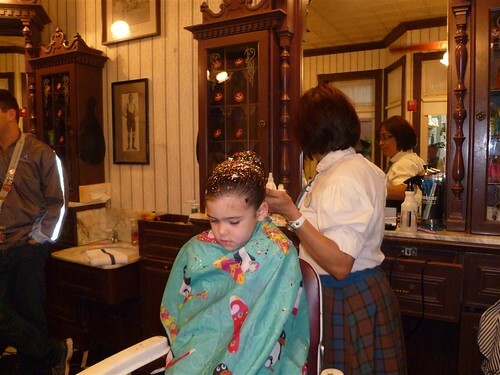 Yesterday we headed to the Magic Kingdom to get the kids haircuts. We made many attempts to get haircut appointments and were finally successful. 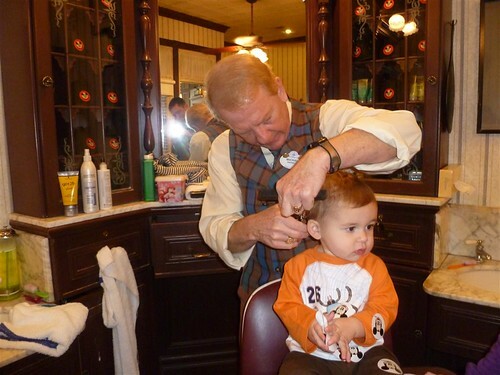 Since this was going to be Luke’s first haircut, we wanted it to be at the Magic Kingdom. 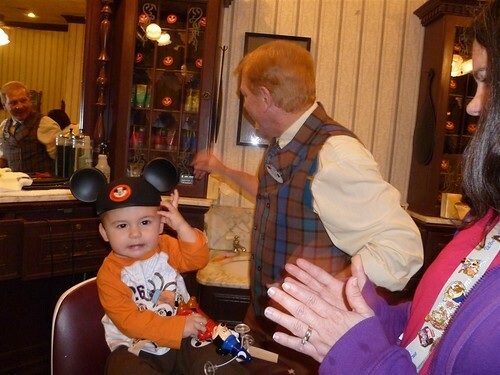 They give out a special pair of Mickey Ears and a certificate when you get your first hair cut at Disney. Luke was very good! 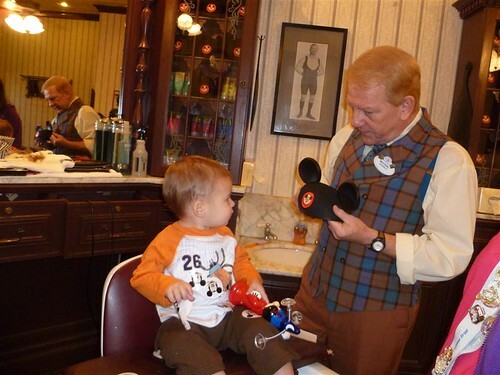 While he did move around a little, the barber was great and great him preoccupied with Mickey Stickers. (I can’t imagine how many stickers they use in a day!) Luke’s haircut was nothing major, a few snips off the top and the sides. The biggest difference was in the back. As the barber stated, “His Pensacola mullet has now been removed!” Here are a few pictures during his haircut and the ears he received. The girls just got regular haircuts. 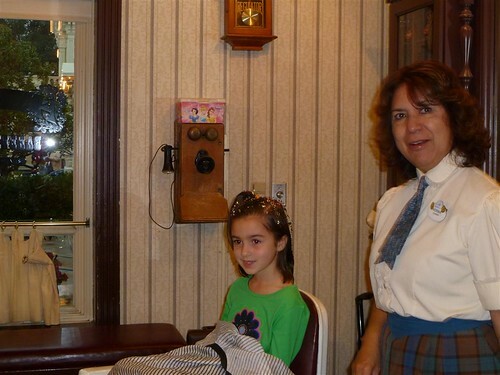 The beauticians did add “Pixie Dust” in their hair. They both loved the experience! The crowds over the holiday weekend has been ridiculous. Well that all changed today because of the storms that came through. It was raining very heavy, but it did not deter us! We went from ride to ride without waiting in line. After a few hours, the girls complained that their feet were cold so we decided to head back to the resort for lunch. Since Isabelle is missing a few days of school this week. We brought along her homework. 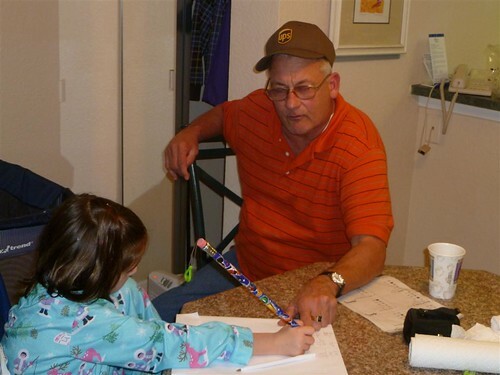 Paw Paw had the chance to work with Isabelle on her math. It was an enlightening experience for both of them. After the rain went through, we headed of to EPCOT. We had to chance to meet a few characters while we were their. 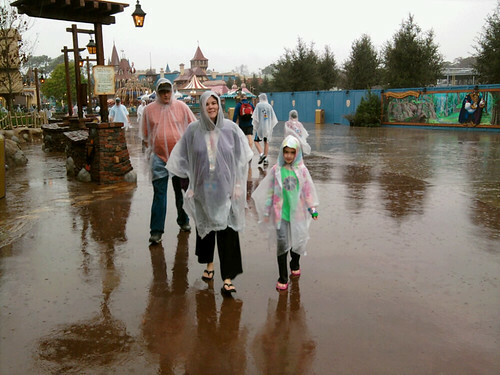 There were still no lines due to the rain earlier in the day. 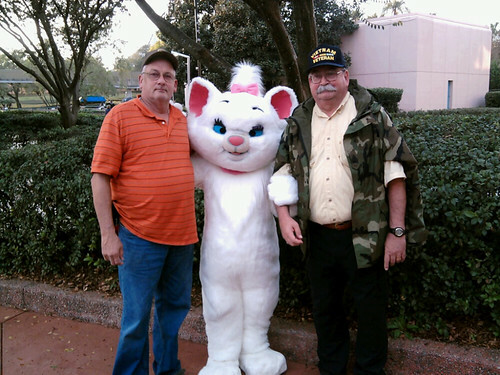 These two jumped at the chance to meet Marie. We also had the chance to meet the newest addition to the character lineup. 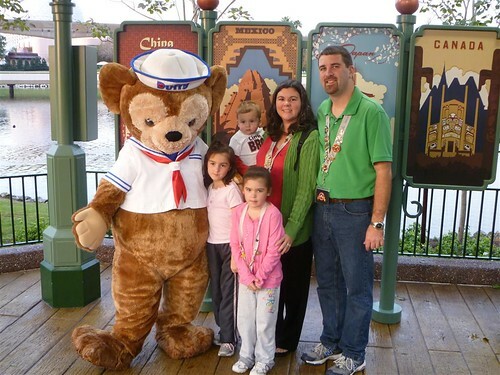 Duffy the Disney Bear is now at EPCOT. Minnie gave Duffy to Mickey and together, Mickey and Duffy traveled the world. He is a really overseas, but I not sure he will catch on in the USA. 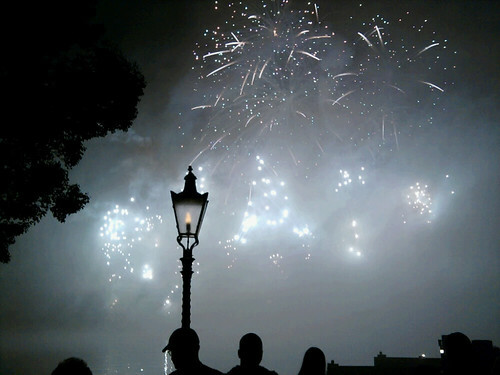 After dinner at Teppan Edo, we watched Illuminations and headed home. As you can see. 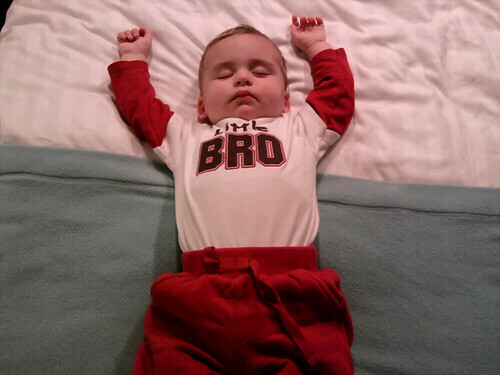 Luke was tired from the long day. I think the sleeping baby is where the real Disney Magic is! Nice Thanks for sharing it !